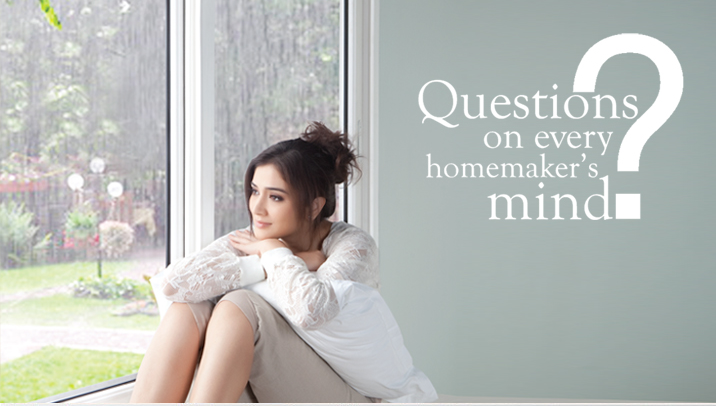 We all want our homes to be quieter, brighter, cleaner and even bigger. We want an environment in which our children can study in peace and the family can enjoy music and quiet moments and lead a healthy and happy life. In reality, the opposite happens. The outside world gets in the way of our comfort. Noise, dust, rain and wind make a mess of our best-laid plans. Can something be done? Yes. The right window in the right place can actually transform our homes – and the way we live. They match architectural styles and individual preferences in different parts of the country. Read on. Discover which windows work best for you. Street noise drives your crazy. Can windows give you peace ? Noise takes many forms. In a high-rise building, it could be the constant whine of aircraft engines. At lower levels, it could be a maddening mix of traffic, loudspeakers and even the blast of your neighbour’s television set. In a modern car, when you close the windows, you shut out noise. You seal the passenger cabin. But if you leave the window even partially open, all the noise comes right in. The same problem – only worse – exists in traditional windows. They have gaps – even when closed. The gaps are the result of flaws in design, construction and installation. Not so with our windows. They have double seals that close all gaps within the frame, while the gaps between the window and the wall are closed with silicon. If you live in an exceptionally noisy neighbourhood or near traffic intersections, We recommends the double-glazed (twin glass) option. With this additional feature, unwanted noise levels come down by as much as 30 to 45 decibels. Dust has a habit of coming back. Can something be done ? The wind brings with it dust from construction sites, industries, stone quarries, pollen, vehicular traffic and even the occasional dust storm. Dust can be pretty troublesome. Apart from hours of effort in cleaning, it also reduces the life of curtains, upholstery and carpets. It also impacts your health – adversely. Samples taken from households confirm the presence of lead – highly toxic for both children and adults. Your fight against dust is probably a losing battle. You wipe your living room clean only to see a film of dust settle on furniture and the floor within minutes. Or you return from a vacation to a home laden with dust. The only way to keep dust out is to not let it in. The problem is that dust enters through cracks in the old windows. Switch to Windor and the problem is hugely reduced much like it is in a modern car. The same ‘airtight’ principle that keeps noise out also keeps dust out. How can you help us with air conditioning costs ? Even if used only at night, each air-conditioner costs a fortune to run. The cost goes up when you shift to back up power which is many times more expensive. Built into our product are three energy-saving features absent in common aluminum windows. One: The material from which it’s made: UPVC. A poor conductor of heat, UPVC neither retains nor transfers heat indoors. Aluminum does both. Two: the airtight sealing of our product prevents cold air from escaping and hot air from flowing in. Three: All our windows can be fitted with double insulated glass, which is often used in modern buildings with high green ratings – as the means to save power. I did’nt know windows can create more living space? Show me how ? Windor doors connect different parts of your house. An intelligent design allows easy movement from one area to another, much like the room and the verandah shown on the right, both in harmony. The right windows in the right place unite spaces. Old windows do the opposite. They occupy a small area of the wall. As a result, they act as a partition, a divider between balconies and rooms. On the other hand, a Windor slider can replace a wall and actually create an open space where children can play and you can party. It also improves the view, especially with a garden outside. With Windor, you can do wonders in apartments where space is restricted. A big problem with old conventional windows is that they jam. Grime collects along the edges, and you have to force the windows open. More often than not, this takes too much effort, which is why old windows remain shut 365 days a year, blocking ventilation, creating a musty environment. If you do manage to get them open, you then have to battle with the hooks and put them in a slot – to make sure the windows stay in place. All these problems vanish once you install our product. They open and shut with utmost ease at all times. Casement windows (those that open from the side or top) come with a ‘friction stay’ instead of the old fashioned hook-and-loop. The ‘friction stay’ allows you to keep the windows ajar, fixed in any position you choose. The windows will stay in that position no matter how strong the breeze is. A breath of fresh air, at last. We live in fear of breanins: Can we make our home safer ? Security is a major issue in both villas and low rise buildings in virtually every city. The traditional solution revolves around fixing a grills and burglar bars to the masonry or to the window frames. Windor windows come with multiple-point locking which is much safer than the conventional single point lock. Further burglar resistance is possible with the option of double glass or toughened glass – which is the way it is done in Europe where grills are not in use.